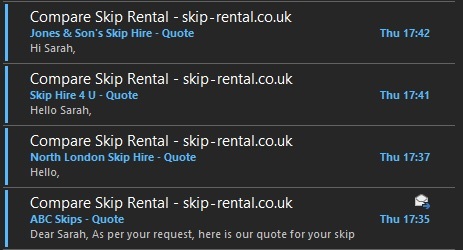 Here at Skip-Rental.co.uk, we take the difficulty out of searching for skip hire in Staffordshire, we help you find a skip at an affordable price. The advantage of comparing multiple companies is that you can choose the size you want, for the length of time you want, saving you time and money. The skip hire companies we use in Staffordshire are fully insured, licensed and are always professional. We reject any company that doesn’t fit our specification. As well as providing skips, they provide additional equipment which includes, locks, lighting if required. Hiring a skip in Staffordshire is the most practical way of disposing of waste, it’s also affordable and incredibly simple. Each supplier offers various sizes and dimensions which allow their customers to choose a solution which is right for them. 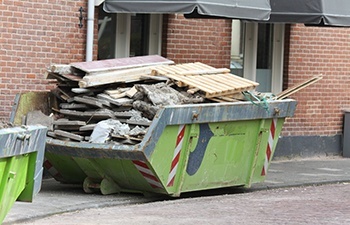 Skip rental is a popular waste disposal method in Staffordshire and is regularly used for commercial and domestic customers, this is due to it being convenient, affordable and the wide range of sizes and variants. For more information please look around our website and if you are interested in hiring a skip in Staffordshire please use our comparison tool. Our approved suppliers cover all of Staffordshire.